A lot can change in just two days. According to a report from TechCrunch, Apple is preparing to purchase the music recognition service Shazam for around $401 million. The deal could close and be announced as soon as Monday. Shazam is an instantly recognizable name among mobile applications. The service has been around since 1999, predating the iPhone and the app economy that it brought into existence. However, they were right there in the App Store in the early days, and have remained a very popular free app there ever since. Some may not realize this, but Shazam is already integrated with Siri. The two companies worked together to bring the service’s music recognition capabilities to Apple’s hardware in iOS 8. Any time you ask Siri what song is playing, it is Shazam that is powering that query. So if Shazam’s music recognition is already a part of Siri, then what does Apple get out of this deal? Control. They now control the service that powers their music recognition, and can bring it in house and operate the service from their own data centers. This should serve to speed up searches, and hopefully improve both accuracy and efficiency through some additional investment. Apple also gets Shazam’s other services that aren’t currently integrated with Siri. These include the ability to recognize movies, television shows, or commercials by sound or images. Shazam can also recognize images in pictures snapped with their app. You can absolutely bet on the audio features landing on the coming HomePod, with the visual features eventually coming to all Apple’s iOS and macOS devices. Who knows. Maybe this Shazam deal was delayed and that caused Apple to push the HomePod release back. I doubt it, but it is possible. 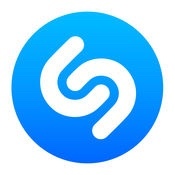 Whatever the problem was, here’s hoping that Shazam and the team behind it can help improve Siri’s music search and recognition capabilities quickly. What do you think of this potential Shazam deal? Do you believe it will have a positive impact on Siri and the coming HomePod, or will we just get more of the same? Let me know in the Comments section below, on Flipboard, on our Facebook page, or on Twitter @iPadInsightBlog.